For the best choice of curtain cleaning, stop your search here – select London Cleaner. Curtains can be cleaned by either the Wet cleaning or Dry cleaning method. 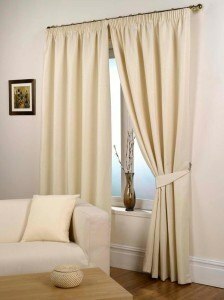 London Cleaner is a cleaning company that offers a quotation over the phone for the best curtain cleaning London solution for your curtains. Our very well trained professional curtain cleaners will perform this service at your premises. You don’t have to remove the curtains. *Special consideration to colour-fastness and dimensional stability of the fabric may need to be determined. Drying time is dependant on the type of fabric. Get an instant on-line quote about our curtain cleaning prices – click here! For more information about curtain cleaning London, please do not hesitate to contact our friendly team on 020 8884 9142.